The CFL Library website has a full list of CFL publications. A group of fish species called deepwater cisco was once the basis for food webs of the Great Lakes but, over the last 100 years, environmental degradation has decimated their numbers. Fisheries managers are now interested in reintroducing deepwater ciscoes in order to reestablish historical food web connections. However, little is known about historical trophic position and niche partitioning among these species – or, in other words, where they lived and what they ate. Blanke et al. (2018) used nitrogen stable isotope analysis of amino acids to compare trophic position of museum-preserved (1920s) and present-day forage fishes in Lakes Michigan and Superior. In the 1920s, deepwater coregonines exhibited strong niche separation, spanning a full trophic level. Additionally, species trophic positions were tightly conserved between lakes. In Lake Superior, trophic niche partitioning has been maintained over the last 100 years, but trophic position has shifted downward by. In Lake Michigan there was a sharp reduction in niche breadth over time. Our study reveals remarkable trophic niche breadth among deepwater coregonines prior to the degradation of the Great Lakes, and provides a benchmark for restoring this iconic species. Invasive species can have huge ecological and economic impacts on freshwater systems. Yet detailed studies of individual lakes and streams find that invasive species impacts vary widely from location to location. This variability is not well-described. And ultimately, managers need to understand invasive species impacts at the landscape level. How do we ‘scale up’ our understanding of invasive species from individual sites to the whole landscape? Vander Zanden et al. (2017) addresses this issue, and synthesize our understanding of invasive species impacts at multiple scales. This study lays out a framework for addressing these challenging frontiers in the study of aquatic invasive species. Since aquatic researchers can’t sit at the bottom of a lake all day and document what eats what, they are finding ways to use chemical signatures as ‘ecological tracers’ to better understand food webs. To advance this topic, Blanke et al. 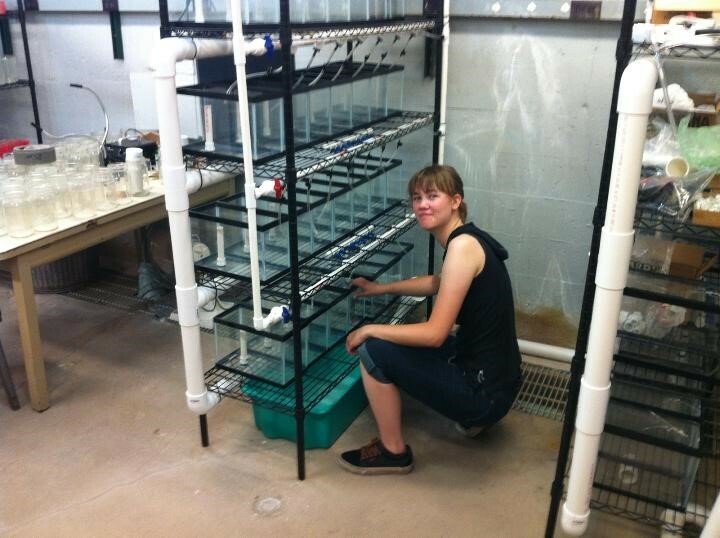 (2017) conducted a controlled-feeding experiment to characterize the variation in trophic discrimination factors of four freshwater fish species fed on three distinct diets. They also compared fish muscle and scale samples to evaluate the viability of scales for making food web inferences. 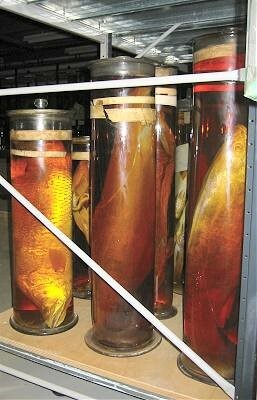 The idea was to use stable isotope analysis of the chemistry of fish tissue to see if it could indicate where, exactly, a fish sits in the food web. The study illustrates the advantages of estimating trophic position using compound-specific stable isotopes and the need for continued investigation of this area of study. How Do Species Respond to Perturbations? The Food Web Matters. Predicting how species will respond to environmental disturbance is a fundamental challenge in ecology. Yet we often have very little information about the food web. 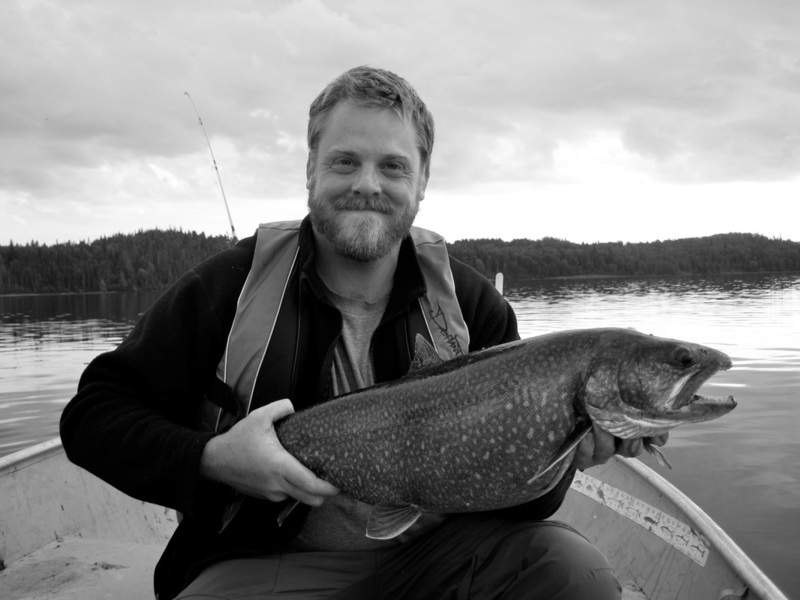 Motivated by fishery declines in inland lakes of the Midwestern United States, we evaluate the responses of walleye (Sander vitreus) to disturbances. We represented food web uncertainty with 193 plausible food web models and applied four perturbations to each. We found that the direction of the walleye response to the same perturbation is not consistent across food webs. Simultaneous application of management perturbations led to less consistent outcomes compared to a single perturbation. However, direct manipulation of adult walleye produced a desirable outcome in 77% of the food webs. Identifying perturbations that produce consistent outcomes in the absence of food web information can have important implications for natural resource management. Species are connected to each other as predators and prey through what is commonly referred to as the food web. Which species are linked to each other determines how an ecosystem responds to disturbances, yet we rarely have this type of information. To address this, Hansen et al. (2017) used a 10-year, whole-lake experiment that removed invasive rusty crayfish (Orconectes rusticus) from Sparkling Lake in northern Wisconsin and monitored food web responses at multiple trophic levels. A relatively small number of potential food web configurations matched the responses observed in the experiment, and different food web configurations were found in cobble and sand habitats. 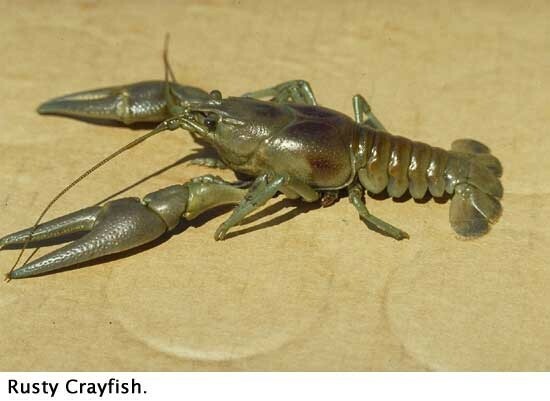 In cobble habitats, direct food web links involving rusty crayfish were most important, while in sandy habitats, indirect effects involving Panfish were more important. 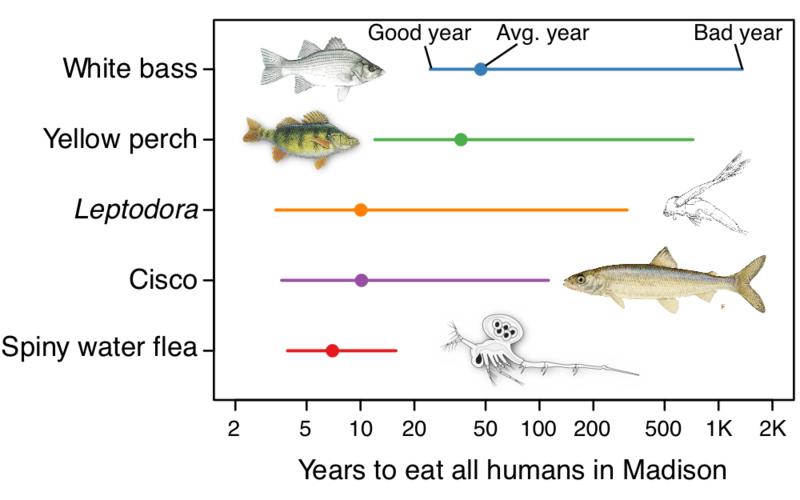 Within a lake, we found that food webs differed among specific habitat types. Figure – we used our calculations of zooplanktivory in Lake Mendota to estimate how much biomass each zooplanktivore consumed in terms of the time it takes to eat the biomass equivalent to the mass of the human population in Madison. The voracious spiny water flea clocked in with the fastest time of roughly 7 years to consume the equivalent of the human biomass of Madison. Since its detection in 2009, spiny water flea’s voracious appetite has changed how Lake Mendota works. More spiny water flea has meant less of its prey, Daphnia pulicaria, which are important native grazers that keep algae populations in check. Fewer Daphnia means green, murky water. Our study found that the tiny, invasive spiny water flea has a profound impact on the lake and eats a staggering amount of zooplankton each year. By our calculations, if you weighed the amount of zooplankton they eat every seven years, it would equal all of the people living in Madison. What’s more, even though fish like cisco and perch also eat zooplankton, we estimate that spiny water flea has accounted for the majority (62%) of the zooplankton eaten in Lake Mendota since 2009 and that the total amount of zooplankton being eaten in the lake has more than doubled. As a result, Daphnia pulicaria populations have declined by roughly 90%, and water clarity by 1 m (a little over 3 feet). 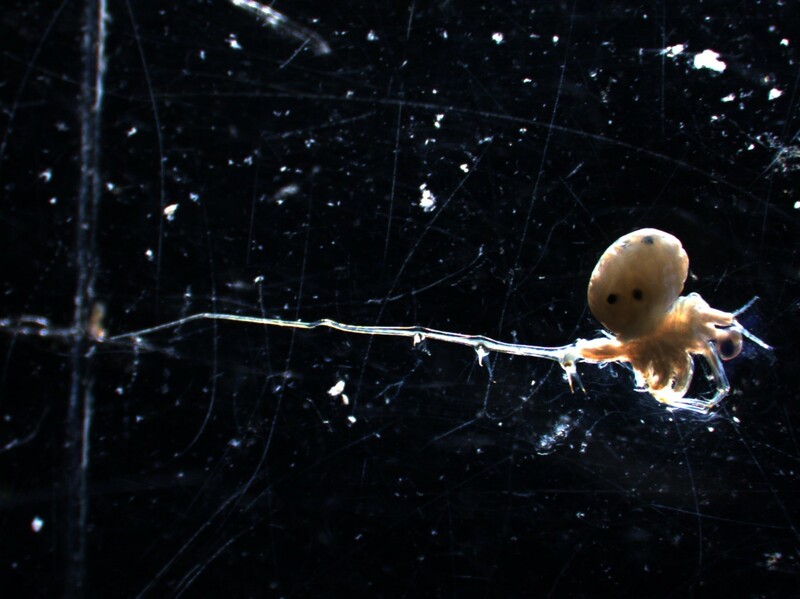 While reducing spiny water flea’s abundance could lift some predation pressure off Daphnia, it’s extremely hard and often impossible to manage invasive species once they’ve established in lakes. Fortunately, we can still improve water clarity by reducing the amount of agricultural run-off into the lake. In fact, our work here suggests it might be the only option we have left. As citizens, we often think about lake water quality on a spectrum of conditions that we associate with good or bad lake “health”. Good “swimming” lakes with crystal clear water and no algae blooms are on one side, and murky lakes where large, potentially harmful blooms of algae are common are on the other. But, our study shows, water quality in lakes doesn’t always fall neatly on the spectrum in our minds of “swimmable and not swimmable”. In Lake Mendota, water clarity declined as the invasive spiny water flea ate massive amounts of Daphnia pulicaria (a zooplankton that grazes on algae). This was largely due to fall and spring increases in phytoplankton, like diatoms, that Daphnia would normally eat. However, phytoplankton conditions in summer didn’t change much and cyanobacteria populations (which often aren’t edible to Daphnia) were pretty constant. This is important because cyanobacteria are dominant in summer and often close beaches because of the harmful toxins they can produce. We modeled the Mendota food web and found that edible phytoplankton like small diatoms were controlled more strongly from the “top-down” by Daphnia pulicaria grazing, while inedible cyanobacteria were controlled more strongly from the “bottom-up” by nutrients. Nutrients have somewhat mysteriously declined in Lake Mendota since spiny water flea was detected in the lake. So, while water clarity has gotten worse, fewer beaches are being closed due to cyanobacteria blooms as a result of this decline in nutrients. Somehow, spiny water flea disconnected the pathways in the food web that lead to good clarity and those that lead to fewer cyanobacteria blooms. Even if we can’t bring back clear water in spring and fall without relieving spiny water flea predation on Daphnia, this means efforts to reduce agricultural nutrient run-off into the lake should still help improve summer water quality conditions.